The director of The Shape of Water talks about creating a fairytale for troubled times. 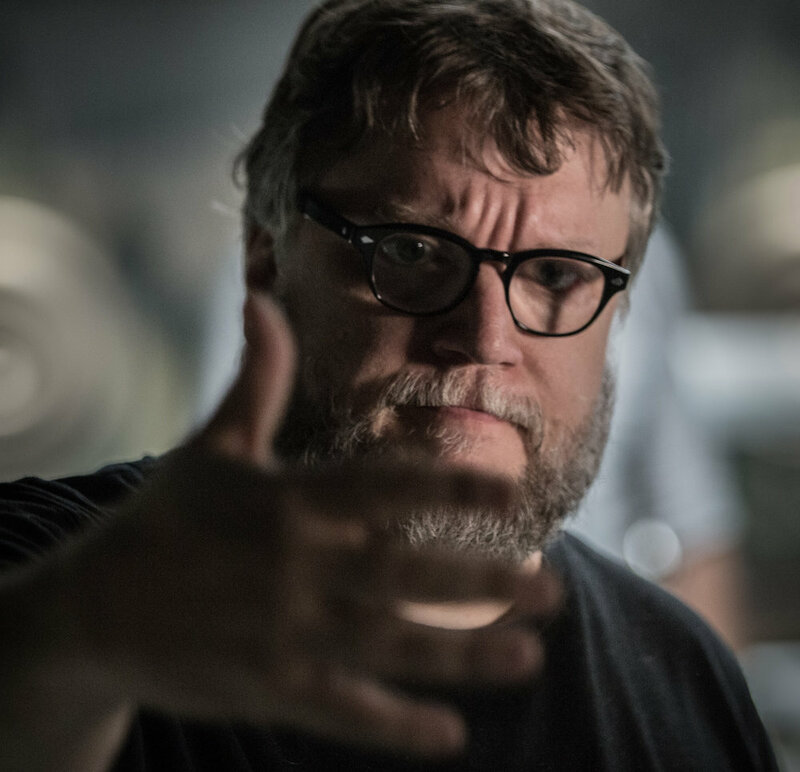 I have crossed paths with Guillermo del Toro four times in my life. The first time, he directed me in an uncredited segment of The Strain. It was a recreation of a lucha libre bout in which one of the fighters becomes a vampire mid fight (I was part of the rowdy crowd). Unlike many directors I’ve witnessed at work, Del Toro was pleasant throughout the entire shooting, and encouraged the people on set to enjoy themselves. The second time was at the premiere of The Shape of Water in Toronto. It was at the Elgin Theatre, a venue that’s featured prominently in the movie. The entire cast was there, alongside Del Toro’s regular Ron Perlman and other personalities of note (Benedict Cumberbatch, T.O. Mayor John Tory). As a critic, I’m reluctant to use the word “magic” to describe a theatrical experience, but that evening got damn close. A third opportunity would materialize shortly after. The Art Gallery of Ontario and Del Toro (a Toronto resident) put together the stunning exhibit “At Home with Monsters”. At the launch, a noticeably tired Del Toro gave the press a preview. It was like stepping into his head: Gothic and steampunk artifacts and mementos of his movies at every corner, including the sumptuous wardrobe of Crimson Peak, life-size reproductions of Pan’s Labyrinth characters and Hellboy’s mecha-hand. Two days later, Del Toro would spend hours signing memorabilia and talking with fans. All this is to say Del Toro is the definition of a mensch. He answers every question as if it was the first time he hears it and his self-deprecation seems genuine. I had the chance to connect with him over the phone to discuss the superb The Shape of Water. - When you began conceptualizing these characters, did you write them with certain actors in mind? - I always wrote it for them. In 2011, I had the seminal idea that unlocked the movie for me. It came from Daniel Kraus (co-author of Trollhunters): “A janitor meets an amphibian in a government facility and takes it home”. I started writing the screenplay in 2012 and had my agent call (Sally Hawkins) agent and say, “Guillermo is writing this story for you”. Then I found out who Michael Shannon’s agent was and said the same thing. Sally is, in my opinion, the most beautiful, luminous presence in cinema today, somebody who can combine the extraordinary, the poetic, the sublime and the ordinary. - How the creature’s costume design helped you get the audience reaction you were hoping for? - The first decision was to make a physical suit and make-up because I needed the actors to react (to it). I wanted audiences to have a changing point of view of the character. The movie starts with a shock, a hand hitting the glass. It’s a monster moment. Then you see the silhouette, bleeding, and you don’t have a sense if this creature is good or bad. Then it emerges from the water and blinks. It’s gorgeous. A perfect combination of digital enhancement and physical suit. My hope is that by the end of the movie, you have completely forgotten this is a creature, you love him as a character and want him to fare well. - Through the film, we learn quite a bit about Strickland (Michael Shannon), his home life and the pressures at work. Why was it important for you that the audience had all this information about the villain? - The idea of the movie is that we need to look at “the other” and not fear. But I can’t help but think that you have to apply that rule also to the antagonist. I wanted to give the audience the opportunity to understand what makes him tick. This is a movie that makes a point of following each character home so we can get a little glimpse of their lives. Every character that would be “the other” in the narrative becomes somebody we can at least experience, because to understand is to nullify fear. - There is a scene involving the creature and a cat that had everyone gasping. What did you want people to take away from it? - From the beginning, I wanted this to be a different type of “Beauty and the Beast” tale: The beauty is not a pretty princess in a pedestal. She has flaws. She is not the traditional Hollywood beauty pretending to be a janitor, but somebody you can find anywhere. The beast doesn’t have to transform into a prince to be loved, because the whole point of the movie is that love is not transformation but understanding. The creature has a divine element to him, but also animal. When fighting a predator, no matter what size, the creature is going to bite. - The look of The Shape of Water is more noir than your usual visual style, but the opulence is still present. - I wanted to evoke classical cinema from the 40’s and 50’s, the opulent nature of the color, cinematography and design. The camera moves were very classic: I was shooting the movie like a musical, with the camera always rolling, traveling and craning. At the same time, this was done because the content of the movie, its twists and turns, and the ideas behind it were so completely unique. - Plenty of your films -Devil’s Backbone, Pan’s Labyrinth and this one- are set against a war backdrop, but they also have a supernatural theme to them. What is it about that dynamic that you continue returning to it? - The best juxtaposition of the fantastic is with the ordinary: An elemental god from a river you can take to a bathtub. 1962 is the last year of the fairytale idea of America. The year after Kennedy is shot is almost the onset of skepticism. It’s a perfect place to set a fairytale because all the problems we have today -great division, racial prejudice, gender discrimination- were alive back then. I needed to go to a time that was magical to some, at least visually, and show the ever-present ugliness underneath. The Shape of Water opens in Canada December 22nd.